In the face of abuse and fear, workers in low-paying jobs are demanding respect and dignity. We are their lawyers.  Justice at Work is a multilingual legal nonprofit founded solely to support organizations of workers in low-paying jobs. We envision a future in which all workers have the power to ensure safe and healthy conditions, fair wages, and dignity and respect. With resources and support, workers are their own best advocates. Justice at Work’s role is to support them. Our staff offer direct legal services and help ensure access to justice for worker center members; train workers and organizers on their workplace rights and ways to assert them; and provide ongoing legal counsel to groups of workers organizing for better conditions. Justice at Work leverages the law and the resources of the legal community to help workers seek justice and make structural change. 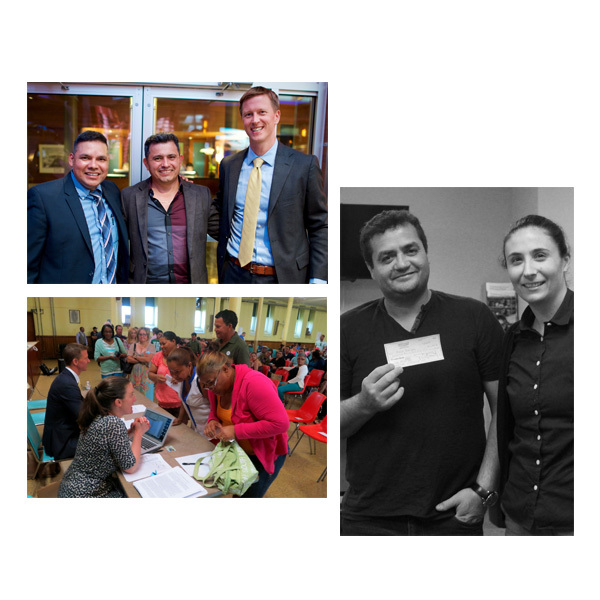 Since our founding in 2011, we have served more than 10 grassroots worker organizations and provided legal services to more than 1200 workers, helping recover more than $6 million on their behalf. In 2017, we trained 135 workers and organizers.